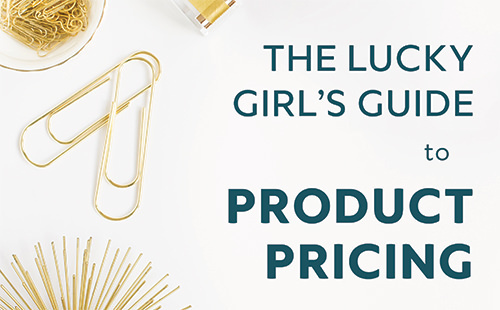 Lela Barker of Lucky Break Consulting has generously let me share her product pricing guide with you here. Awesome! Your product pricing guide is on its way. Lela Barker of Lucky Break Consulting fosters emerging creative brands by infusing their passion with the experience, critical thinking, and strategic tools needed to evolve the passion into a sustainable business. In this 38-page PDF about pricing, which she was generous to let us share with you, she answers all your questions about product pricing for maker businesses. … so you can bring it all together in a pricing strategy that works for your business and ensures that you are always profitable.